I replaced my 1991 Suburban. That's the Old Old tank model. The 03 xl shakes you with every little bump in the road. At first it would bump my foot off the gas petal. This is not a heavy duty, made to last truck. The metal is very thin. You should not lean against the truck it may pop inwards on the metal. OK so I am getting use to this, but a truck that's half the weight of the 1991 Burb and not as solidly build interior or exterior, about 1/2 less leg room and storage compartment, and less the extra amenities, (1991 was a 2500 upgraded interior), I HOPED THE GAS MILEGE FOR ALL THESE MINUS' WOULD MEAN BETTER GAS MILEAGE, GUESS AGAIN. My 91 was about 12-14MPG all around. My 03 xl gets just over 11 all around. UGH! I did not purchase for the gas mileage, I purchased for safety. BUT I thought I would get 2+ MPG better in the xl. I write so your not expecting what the advertisement says UP to14city -17on the highway. the Up to is really stretching it. I have had my 2003 yukon xl 2wd for five and a half years.I bought it used with 22000 miles on it.It now has 103000 miles. At 65000 miles the transmission went out,a $2200 repair. At 77000 miles the instrument cluster lost gauge function one by one,this is a recalled issue up to 75000miles. The dealer wanted $800 to repair it.I purchased a used repaired one on ebay for $150. At 90000 miles the transmission went out again,another $1800 for repair. The power window motor went out on passenger side,drivers side is now moving slowly,so if I do it myself $300 repair. It seats 9,handles mountian roads great,but repair costs has lost my faith in GM. Save up for repair costs,you may need it. The practicality of this vehicle is excellent. We tow a 4500 lb boat, live in the mountains with tons of snow, travel a lot in the summer heat, and this truck has served us well. Many drivers, wife, sons, daughter, all enjoy never having to ask "can we take this". GM has been poor on service, replaced costly front hub, speedo stopped working after warranty. 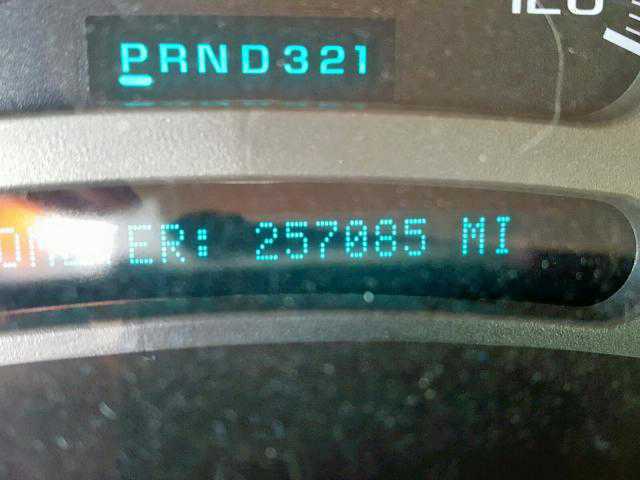 Truck has 99k miles and working well with regular maintenance at non-dealer shop. All shops know Chevy engine so they can maintain it. Replaced battery, windshield washer hose, brakes, tires & snow tires, as usual. I believe there is not another utility vehicle out there as a choice for roomy loading and comfort. Leather seats last. 3 strikes and now what? I loved my truck and for a house full of boys it is great. But why have we replaced the fuel pump system 3 times and now it has failed AGAIN? 1st in July 2008, then again in January 2009, then again in July 2009 and now just shy of a year it goes out again! I have over 100k miles and still have yet to have the first problem. The tires last to about 50k miles, it tows like a mule and rides very comfortably. It still idles like it was new; you can't tell it's running. GM did a good job with this machine! I am approaching 140k miles on my Denali. 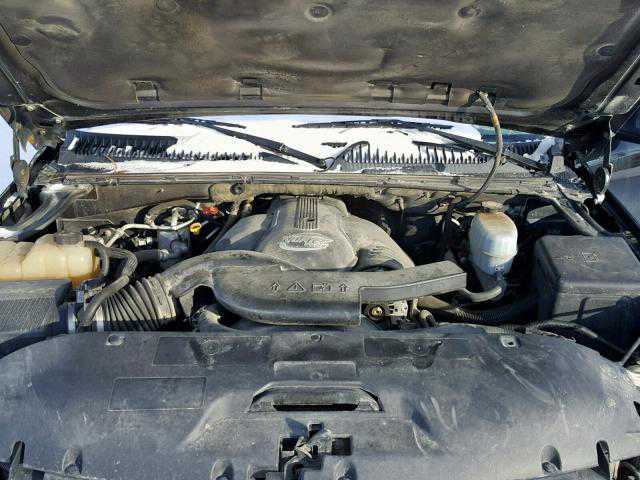 It's a great truck with a great motor and trans with 0 issues to date. Is it perfect? No. Yes, you'll do wheel hubs anywhere from 40k onward. Big deal, I don't fret about a bearing. All vehicles have these types of issues. Right now, toyota can't seem to get a gas pedal to work. The steering column rattle I had replaced under a GM pilot part program. Same with my diesel truck. It's been flawless since. GM large SUV's and trucks share the same parts and platforms. People forget how much this truck really weighs and what it can do and that wearing parts don't last forever. This vehicle has been, without a doubt, the worst value for money that I have spent. I have purchased 8 NEW GM products. This is the most that I have spent and the most dissapointed that I have been (35% of purchase price on repairs, not maintenance). Head gasket leaked at 70,000 km. Random electrical failures from the onset have resulted in more than 35 dead battery incidents. Random sluggish performance due to fuel issues (new pump has not fixed the problem). Recently has been dieing on the road with 3/4 tank of gas!! This vehicle had great potential but the quality of the components has really killed my opinion. At least OnStar works when these things happened to my wife! I bought new in '03 & spent less than $600 total on maintenance items. Replaced water pump 1 month ago & front brakes @ 60K miles. Wife drove the heck out of it until I took over @ 60K miles. It now has 85K miles & drives & rides like new. GM quality is A+ and even if it breaks down, it doesn't break my wallet to repair. Extremely happy with the Yukon. Excellent vehicle for hauling whatever you need. Gas mileage isn't that great, but the utility is excellent, and the Quadrasteer option is amazing. Rides very well. 5.3 is slightly lacking in power, but good enough to tow a 3000 lb boat. Only problem has been tire wear due to previous owner not rotating tires. According to our tire dealer, these wear tires very quickly if not rotated every 6k miles. My wife gets 18 mpg on the highway and 15 in town. I get 16.5 on the highway. Overall, very satisfied. We bought this vehicle new trading in a great Tahoe. I have owned everything from a Rover to Benz and this has been the worst ever!!! Every part of the driveline has been replaced and it has never been offroad. The electronics are a joke. Memory seats that don't work to a radio that won't turn off. Replacement of the instrament cluster (which GM now recog. as a known issue). Steering shaft problems (known issue to GM). You name it. NEVER AGAIN! Great after 4 hard years! Reliability has been flaelwss! Not one problem after 65k miles of hard living. I tow boats and a heavy boy scout trailer regularly, drive up to the mountians in snow and cruise at 90 on the highway. This SUV never flenched, squeeked or rattled. The air shocks and towing package make this an acceptionally stable vehicle to tow with. It will yank my 6500 LB wet boat our of the water with authority. The all wheel drive and stability control work flawlessley; I don't think its possible to get this SUV stuck. It also is very useful when going camping or taking my daughter to college with all her worldly belongings. It swallows up cargo like a fat kid eating a donut; wooofff; no sweat. I can't part with it! I bought my Denali new and do a lot of hard driving with it. I tow trailers, take road trips fully loaded and take trips to the mountains in the snow. All I can say is, Wow! This is a great vehicle! I literally have had no problems with it except one battery and one set of tires at 40k. This mule will jerk my 6,000lb boat out of the water on a wet ramp with authority. (I laugh at other vehicle skidding with much lighter loads). Acceleration, ride, comfort and reliability have been exceptional. What really surprises me is the reliability. No issues. Much more reliable and durable that Japanese makes I have owned. No squeeks or rattles. I would buy another; I just can't part with this one! Even the gas mileage has been better then the sticker claims. No problems at all now at 25,000 miles. No disappointments at all. To all who want to know how GM takes care of its customers I suggest you read my post. 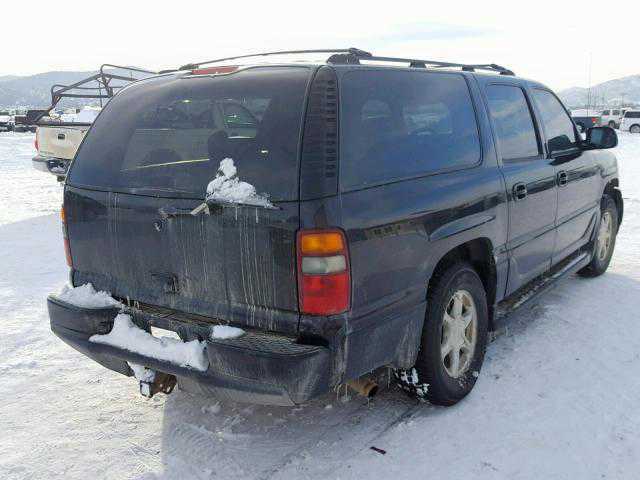 I am a 2003 Yukon XL owner, owned a '97 GMC Suburban prior. Be forewarned to anyone who puts miles on the '03 and forward Yukons and Chevy equals. There is NOTHING Professional Grade about these vehicles!!! To date my vehicle has had to have both front hubs replaced. I have 4 friends with a total of 7 Yukons including mine. On these vehicles 5 hubs have had to be replaced. Sounds like an issue to me. If the truck was used in city driving or off road I would understand but for an on the road truck this is not an acceptable quality level for a $48,000. truck. Real Happy after 3 years! I bought my Denali new and I do a lot of towing. At the ramp, it will jerk my 6,500 pound wet boat out of the water with ease. Never any skidding or hesitation. It has also held up much better than expected and has been exceptionally reliable. No problems except one battery in 3-years with 45k miles. Better than Japanese cars I have owned. I added an K&N free-flow air filter and acceleration has noticably improved. When punched, it really moves out. While no econo car, it will take me over 500 miles on one tank while cruising at 80+. I calculated it around 16 MPG. In pure city driving I get around 12 to 13. I would buy another without question; I just don't want to part with my 2003! I always wanted a Denali. Now that I own one I am happy. I am very satisfied with this suv. It drives well, Looks good, is big enough for my whole family. The engine can get loud but that all that horse power. This is the 2nd Yukon XL we bought and they are outstanding. Tried all the competition and they cant touch the ride quality, especially with Autoride. Good power, nice ride, great utility, good looks, quite, you name it. We have had only minor issues that were covered under warrantee. Both vehicles have gone through multiple batteries and I cannot understand why GM uses the same battery on the Yukon that they us on a Malibu??? I wish they had better seating arrangements. Having to choose the bench seat with more seating or captain chairs that are more comfortable is tough. GM should offer an option to have 3 captain chairs in the middle row like some mini vans. 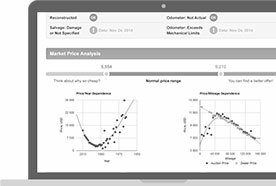 On-Star not worth $. This SUV has been towed three times for a faulty fuel pump. The dealership knew of an ongoing problem but would not replace the fuel pump until an in- flight recorder was used to determine that it was the fuel pump. I have had two replacements of a shaft in the front end that wasn't lubed from the factory. The right side electronics went out costing $450.00. The motor for the left driver window went out, the heater in the right side mirror went out, I have the same squeaking dashboard as others have complained about, and more. This is the second Yukon (1998 GMC Suburban) I have owned but will be the last. The first one had to have a rebuilt transmission. Major diappointment!! Must have been built on a Monday. Battery dead on third day. The two front wheel caps weren't aligned with the wheels. Hung a coat on rear coat hook, and it pulled out of the ceiling. Check master cylinder, and check stabilitrack messages. All within first 1500 miles. Engine makes a soft rattling noise like a bearing is off, but fortunately, the GMC service person assures me GMC designs the engines to make rattling noises, so guess I'll turn up the XM radio and relax. Except for the disturbing noise that can only be heard by me, GMC has fixed everything else under warranty. It's not that it's a lemon. I actually like the thing. I'm just disappointed with initial quality control. So much better all the way over my '98 version. 320 hp, Cold AC, Bose, seats, style, and mileage better, but still not great. I bought a Mini to commute in, and this is really the family trip vehicle. It is the best road vehicle I've ever had or been in. After owning it, it gave me the feeling that GM really wanted to be in the auto business instead of thinking of just financing the usual average dull boring unreliable vehicles they have put out for years. The great thing about our GMC YukonXL is we have room for the book bags, sports equipment bags, grocery and friends! We never have to tell someone we don't have room. However, we end up driving more than we would like to. We purchased this vehicle with 14,000 miles and the ride is wonderful. We previously bought Suburbans and the difference is unbelievable. 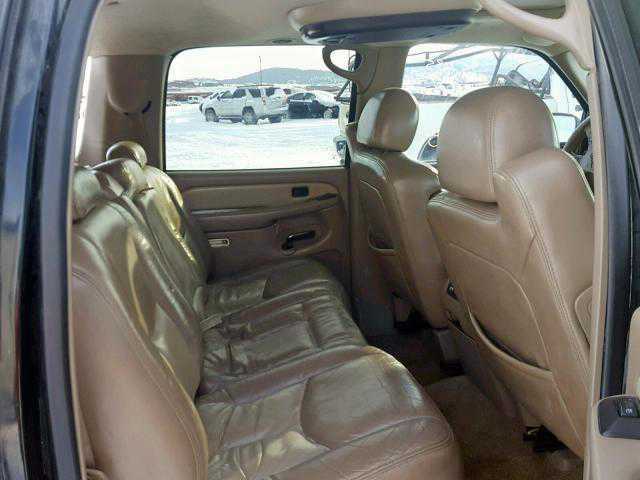 The GMC is has a better ride and the interior and exterior appointments are much nicer. However, it rattles and squeaks a little more than I like. For all the comfort I turn the radio up. The kids can watch a DVD while we listen to XM radio. The GMC is the way to go! Whats with the interior paint? We love our Yukon XL. This is our fourth one. We've owned a '99, '01, '03 Yukon, and this one - the XL. Traded the shorty two months later for the longer wheel base. It has a smooth, quiet ride. Dependable. It feels safe on the freeways, and handles very well for large vehicle. I wish there was a way to get better "in town" gas mileage - avg 14 mpg. Highway gets 20 mpg. It pulled our RV with little effort - never knew it was there! We love the large cargo area. It hauls luggage, bikes, and anything else you need. I highly recommend SLT model - all the bells and whistles are fantastic. Fun vehicle. Eats gas but is great for the kids to watch DVD's, and I hook up the Xbox sometimes. Easy turning radius. Headlight went out at 55k. Jack is terrible. Overall a good buy but at $52k a bit pricey. Terrible keyless system. Mine has died at least a dozen times. I'll preface this by 2 things. 1-I've never owned an American car & 2-I'm coming from a Lexus to a GMC. I bought the car for my wife and kids-we needed the room which is great. I like all the space and the captains chairs for car seats. The interior is nice but not great but again I bought for the space. Gas mileage stinks but I knew that going in. I like the styling. I've been a little disappointed with the service from the dealership, but not a huge concern. Because I've nevered owned an American car I bought the extended warranty. I bought this car off a one year lease with 27k miles on it. All in all after 4 months of ownership I'm pleased with it. Handles great on the highway. I've had a Ford Expedition and 2 Jeep Grand Cherokees, but this is the best SUV I've owned. Better mileage than either of the above (15 normal driving, 19+ on the road). I had a problem with 4wd switching, difficult for dealer to diagnose, but it was resolved. Comfortable, lots of room, and I tow the boat with good stability. I'd strongly recommend this vehicle for anyone with a family and recreational needs. Great highway cruiser! I have my Yukon XL for 22 months. I am dissapointed in the build on the truck. I have a problem with the front end rattling after 15,000 miles. Also, the middle seat froze on me and needs a new seat riser. The best is that the dealer knows that the front end is an occurance with most 2003's. They did not have the part and said it would take a week. well 2 weeks later I call up and still no part. I guess when its under warranty, they don't want to fix the problem. I have to hound them for the part!!! I wish Toyota or Nissan would make a truck as big so I could byu!! Took it on 5 long distance trips (over 3500 miles. Truck does everything you need, comfortable for the most part, and looks great. Easy to drive. No real problems except the following: 3 times gauges went out of wack. Restart truck, problem went away. XM radio does not display all XM information. Too much Roadnoise for a luxury truck at speeds over 65mph. More room in second row and needs fold flat rear seat. Dash acc,intirior panels and bumpers scratch too easy/paint comes off. Move front seat heater buttons (too sensitive). Adjustable seat belts (shoulder area). Add 500w power inverter and game console hookups/acc audio inputs on radio. Add Backup sensor. The Denali XL, wooh what a truck! I have had it for about a month, it's great. I am the second owner, previouis owner put 9000 miles on it. I purchased for the wife and kids. Has plenty of space, the entertainment center combine with the bose system is great. Interior is awesome, the vehicle has all the bells and gadgets. Very safe and easy to drive, my wife is only 4'-11". She loves it so much she wont let me drive it anymore. Has plenty of power and is perfect for road trips; towing; no problema! the 6.0 liter can handle it. Great vehicle worth every penny. I do recommend it for a family no larger than five. My Yukon Denalli is an excellent vehicle. I purchased the "black diablo" to serve my firm as a comfortable way to transport myself and many of my employees to various meetings and job sites around the Mid-Atlantic and Ohio Valley regions. The vehicle is comfortable for all during our average 3-6 hour trips. She handles well and gives one the sense of safety in almost all situations. I am delighted to have made the purchase and would strongly recommend the Yukon XL to those interested in the purchase. One draw back: I would only ask for better gas mileage. The beast can certainly eat-up her share of gasoline. My 96 Diesel got 11-20mpg. Denali XL gets 8mpg city 14 hgy. Painted rear bumper scratches easily. NAV antenna is under dash and has poor signal. Onstar is on the roof. We, the wife and I fine this vehicle to be above our expectations. In 18 mths the car has died and had to be junped or towed 9 times. Service kept changing parts but could not find the actual problem Went to lemon law arbitration and GM settled to "keep me as a customer" I recently stopped two different people with The Denali version and they love the truck except that both said they had been stuck on numerous occasions When running a great truck. Very comfortable and well appointed. I love the quadrasteer, when it works! The quadrasteer has malfunctioned and been repaired now 3 times in 30K miles. Replaced 2 AC compressors and a broken muffler (internal components of muffler were broken). Repairs can be costly unless under warranty. I commute 120 miles per day and the Yukon is very comfortable and powerful. I would highly recommend this vehicle again ONLY if an extended warranty was included. I average 14mpg. Overall, an excellent vehicle. I took it on a 8500 mile cross-country trip last summer. Lots of room, plenty of power. Performed well in all types of terrain. Drove it through Death Valley with myself, 5 passengers, and enough luggage for a three week trip. Didn't experience any problems. It now has 40000 miles with only very minor repairs being made (one air conditioning switch). I plan on buying the same vehicle next time. Problems with electrical from the beginning. "Stabili-trac" light kept coming on. Had to replace electronics for this problem. Had it towed twice, due to the "Low Power", ended up having to replace the whole Throttle System ($250.00). Aspirator just went out, another electrical problem...they want another $157.32 for that. 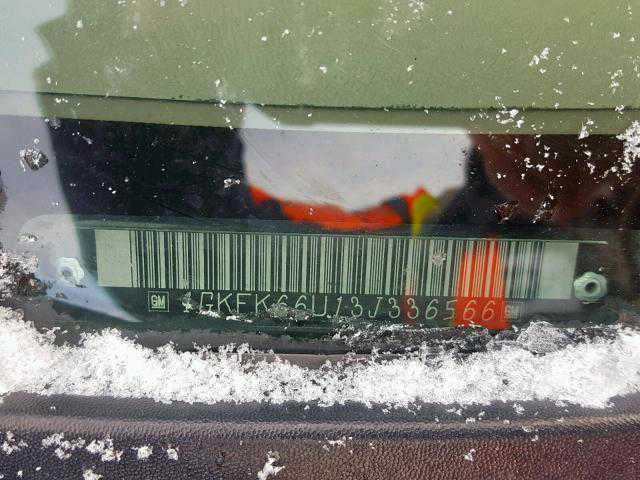 Rearview Mirror electronics just went, they want another $529.28 just to order the replacement mirror! Seems to be a "money pit", or I ended up with the "Lemon"!! I've been quite pleased with my new Yukon XL. The ride with the autoride suspension is very smooth and it handles very well, particularly for a 3 ton vehicle. My only significant gripe was with the Firestone tires that came standard with the vehicle. These tires generated an increasing amount of road noise and squealed readily in the rain. I upgraded to Michelin Cross Terrain tires and was surprised by the dramatic reduction in road noise and noticeable improvement in the ride quality. Traded my 01 for the 03. Was disapointed. GM took a lot of small things away to save dollars yet charge a higher price. Best part of this truck is the engine and AWD. But you pay for it in gas mileage. Average about 13.5 mpg combined. Get close to 17 mpg highway. With the back seat removed, lots of space. However the seat is cumbersome and heavy and hard to manage to get it in and out. If you leave it in it won't fold flat. For such an expensive vehicle, lacks the luxury touches that one expects. There is not much luxourious about it. We love our Yukon XL ! This is a great vehicle. We upgraded from the shorter older bodystyle Tahoe. I have 3 girls and it is a peice of mind that my family is riding in safety. I love the all the gizmos and gadgets like heated seats/steering controls and Onstar. I love how the Radio stations are set to each driver! My wife drives is most of the time and I know my family is ALWAYS safe! 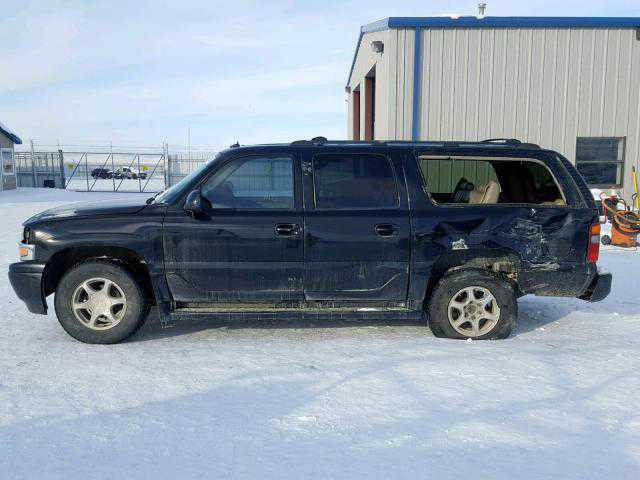 Don't skimp on the Envoy XL if you have a family of 4 or more, pricewise, you are not far from the Yukon XL, Get It ! We upgraded from a mivivan after moving to the snowy Northeast, and adding a couple of kids to the family. 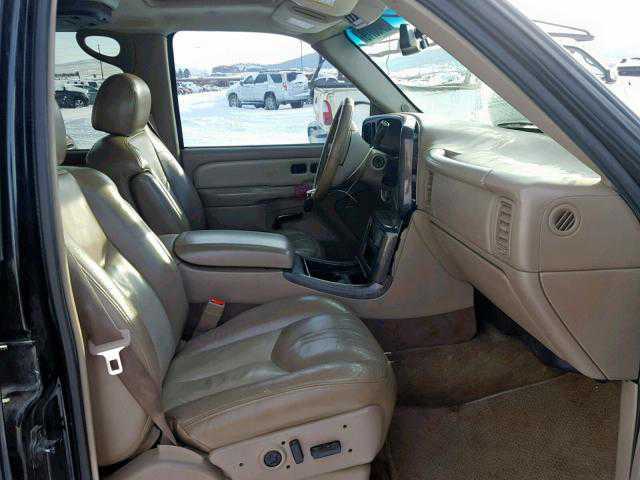 The truck is large, comfortable, and drives very smoothly. You only notice its size when maneuvering in tight areas and parking. Because we needed room for 6 and luggage, this was our choice. We would have liked to go smaller, but nothing else could offer the combination of passenger space, luggage, and the ability to drive in snowy, icy weather. Have piled on 9500 miles in 5 months already...what a highway cruiser! Averaged 17.7 mpg over a 700 mile round trip, with five people and all their luggage! Just keep it under 80 MPH and the mileage is OK. Try to maintain 85 or above, and it really suffers. Power is great! I LOVE blowing the doors off of the little imports and their rev- happy 4-bangers. It's all about the torque! There's no replacement for displacement! I even SMOKED a 330i BMW the other day! I loved the look on his face! Woo-hoo! Traded up from minivan. This SUV has more room, more power, more cool points. The drive is smooth and not very trucklike. It has been a pure pleasure. Very happy that I paid a bit more for the Denali versus the Yukon XL. Smooth, quiet ride, huge amounts of power available. Extremely comfortable SUV! After one year and over 12000 miles, no problems. We wanted to upgrade to a larger SUV and we could not be happier. Very well built vehicle. Lots of room in the front. Drives like a sedan and has fantastic pulling power. Although we expected this, the only negative I would say is that this vehicle is a gas guzzler! Add at least $100+ a month extra in gas costs. The Yukon xl is an awesome vehichle. It has power yet looks awesome and rides like a dream. I hauled three kids and a wife pulling a sixteen foot flatbed from mccomb ms. to mobile alabama last weekend and it was an awesome tripin the yukon xl. real nice truck, smooth ride, great handling, brake system is top notch. ITS ONE OF A KIND, TO DRIVE. STEERING CONTROL IS GREAT--LIKE YOU'RE DRIVING A CAR. THE BRAKES ARE AWESOME TOO. LOVE THE CARGO ROOM. THE ENGINE IS THE BEST. A SAFE PLACE FOR THE KIDS TO RIDE IN. I LOVE MY YUKON. One of the best family vehicles you could ever own. I had an Envoy but it proved to be a little to small for family road trips. The Denali XL fits the bill. Big, powerful, and comfortable what more can you ask for. Gas mileage could be better but who cares. If you can afford to buy one of these monsters you diffenently should be able to afford the gas. No regrets...great drive...Drives better than our first car (Nissan Maxima). Comfortable Driver and passenger captian seats, with all stering controls. Great agility, proved unbelivable for the size on a perfecr circle of 10 mt diameter at 40 mph. the car is fun to drive. it handles like a car that is much smaller.the car easy to park in decks. i average 15mpg.the ride is very smooth and car like. We have owned GMC Suburbans since the 70's. We bought them long before they were popular, but they have always been the most dependable, roomy, functional vehicles on the road. We always buy the 4 wheel drive model. We love them and would not have anything else for our family vehicle. I just love it rides great feel safe in it easy to handle like a car very comfortable. The Denali couldn't get any better - I think the only thing they missed is an automatic back massager. This truck runs like the best luxury vehicle you can drive. And the sterio is the best I've heard - better than the Audi's or BMWs! We feel like the king and queen of the road when driving this. We can't wait to go on a long road trip just to ride in our Denali! The No. 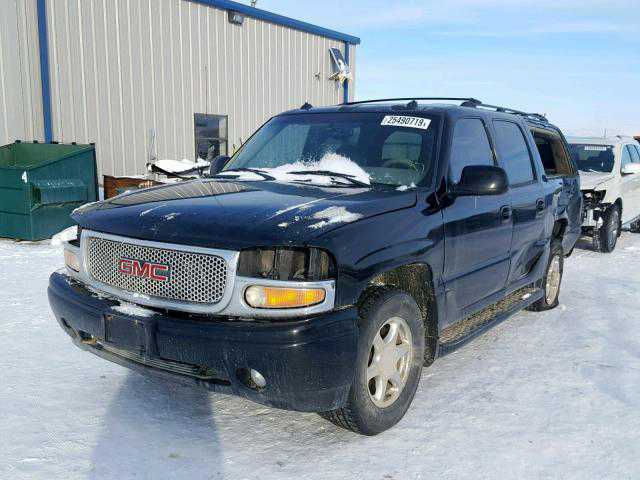 1 SUV: GMC Yukon XL !!!!! Air Bag Lite stays on/off. Front shock too weak or needs different kind. Replaced 2 times as tire wear caused by bad shocks. Shifts to tow/haul by itself, have to stop and turn off engine and restart then it goes off. Wanted a usefull SUV, not a tall car.. Test drove everything in the class including the Chevy, the GMC stood apart. Excellent engineering inside and out, VERY capable (no problems extreme off-rading) leather interior exceptionally comfortable. Pretty good sound system (the sub will distort at high volumes). I tow my 17' runabout without knowing its there. Autoride is a huge plus in my book, load it up and trailer and keep the level ride. One waranty issue (leaking front differential vent) that I spotted whilst chainging the oil, fixed in a jiffy and no problems since. A must have if you wnat the Utility in an SUV. I have been extremely pleased with my Yukon XL. It handles and rides so comfortably. I strongly recommend the second row captain's chairs. It really makes it easier to access the third row of seats. I love the cargo room!. We actually hauled our wooded swingset boxes (they were huge!!) home with both seats folded down. So much fun to drive!! Very nice looking exterior vehicle. Denali XL interior is definitely a step up from the Yukon XL, offering more of a luxury look. However GMC still uses that cheap looking plastic dash board and plastic knobs (mirror ajustors, door locks etc). Very Smooth ride and comfortable with the optional captains chairs (2nd row). Had two problems within 6 months...the 4x4 went and gear box had to be replaced as well as the pwr box in the seat, controls the power seats and heater. Otherwise, love it. Avg. mileage is 14, not bad. Love the cargo room! 3rd row is heavy but can be handled by one man and comes out easily. I am 6' and could use more leg room. Captain chair arm rest is too close to body to lay comfortably. This new design is not smart. Have added bull bars for a great look better buy than the Navigator and Expedition. SERIOUSLY LACKS POWER ON ENTRANCE TO FREEWAYS. VERY CHOPPY RIDE FOR A 50,000 $ SUV. SUSPENSION LACKS STABILITY. SOME OF THE INTERIOR DASH PARTS FEEL LIKE CHEAP PLASTIC AND WILL PROBABLY BREAK OFF EASILY. LOOKS TO MUCH LIKE IT'S COUNTERPARTS THE TAHOE & THE SUBERBAN. Fill it up with Kids! This truck has lots of room for kids. Much better than a minivan and my wife is not afraid of driving big trucks. The 2003 models came a long way since its new body style in 2000. To much improvements to name. The gas mileage is expected considering its size, but the mileage increases after a couple of oil changes. It handles very well for its size and a smooth comfortable ride. But be careful, you don't realize you are driving 75 mph until you look at the speedometer. This is a good car (ours is an '02), ctually gets OK mileage (15 in town, 17+ on the road), not that much worse (only 1 MPG) than our '97 4 litre 4wd Explorer. Comfortable and quiet, good deal, and holds as much as one can imagine. 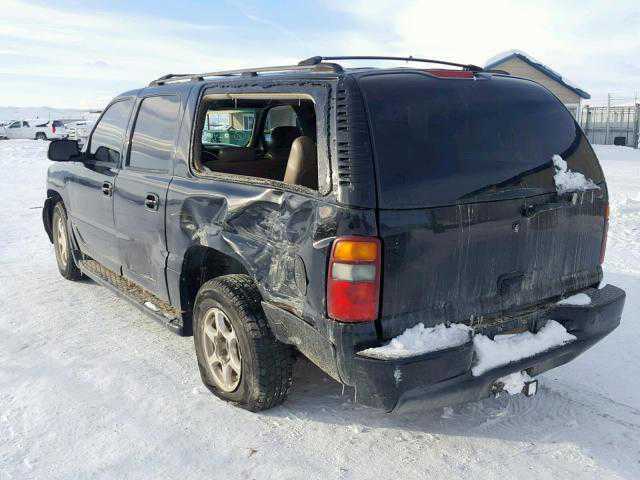 We have a 2003 YUKON XL DENALI. We cracked the drivers mirror glass. Just the glass was $265.00. The bad part is there filled with liquid that stains your paint work.I tried everything to remove it. Excellent large SUV, a much better value than the comparably equipped ESV, rides much better than expected. Loaded with lots of features. My wife absolutely loves it. We love the vehicle. For a large SUV, it rides amazing well and is very stable. Everyone is comfortable in it and I love to drive it on the open road. If Exped, Tahoe/Yukon, Navig, Seq is too small, this is it-If you can't carry people in third seat with their stuff, why even look at these vehicles. Has all basic luxury items (incl Bose), rides well, and gives sense of security. Great deals possib, take adv of www.gmbuypower.com b/c you can locate veh at specific dealers. A first cousin with the Suburban, these vehicles ride real smooth on highways due to its weight. It is also its drawback. Low fuel economy, inflexible seating arrangement although its roomy. 2nd row Seats don't recline. Third row seats have to be taken out of vehicle to achieve space while the 2nd row folds flat. May need some interior and exterior design to optimize comfort and practicality. Good solid feel to this SUV. Fun to drive, big improvement over windstar van. Solid feature from XM radio to memory seats that remember your personal preferences-pretty cool. Gas mileage a little lower than expected. Performance is outstanding. This truck is the best I have ever driven. With outstanding ride and handling for a truck of this size, it is a definate best buy. Still a luxury suv without the "hand-off" feel of it's more expensive cousin, the Escalade ESV. An engine beyond comparison(Vortec 6000) it beats out the competitors 10 to 1! Still a great value vs overpriced Escalade ESV without the obnoxious front end. Unparalleled acceleration and handling for a 3 ton machine. Mileage may be bad relative to small SUV's, but quite good considering the performance and weight. Compare mileage to Excursion. My old Ford averaged just 8.5 MPG. Denali XL looks just as good at the club as it does pulling a 7000 pound trailer. Excursion just looks obese. IN SURBERBA LAND THIS IS THE BEST FULL SIZE SUV ON THE MARKET. ITS POWERFUL, QUICK, COMFORTABLE AND GOOD LOOKING. Fun to drive. Interior finish should be of higher quality for a vehicle of this price point. Ride is a bit truck like compared to 2 wheel drive with auto ride suspension. If you must drive a big SUV, or just really want to, the XL Denali is a fine choice. The drive train is delightfully capable for a vehicle this size. The truck also feels more nimble when cornering than you might imagine -- again for a vehicle of this size. The seats are very comfortable and supportive, the new steering-wheel mounted radio controls are convenient, the XM radio is surprisingly enjoyable, and the interior space is just about unbeatable. Done up in onyx black, this truck is also a real head-turner across all age groups. This Car since i bought it has been an outstanding one. Compared to my new Mercedes SL600 2002, this 2003 Yukon XL Denali keeps up very well. I am extremely happy with the build. The only thing I would possibly change is the gas mileage. I have 8 children and this is truely the best car yet. I am considering buying a second. I havent had any problems with it yet and i don't expect any either. There's is little not to love on this vehicle. For a truck, ride and handling is superb! 6.0 engine is a nice powerhouse and gas mileage is acceptable at 15.5 mpg during first 5000 miles. Freeway driving in Southeast Michigan. If you're a "creature comfort" person, you'll adore this car Heated seats, XM Satellite radio, Bose sound system, great storage and carying space. In the short while I have owned the vehicle (2 months) I dislike driving anything else. Early recall that was inconvenient: Body Control Module for suspension would remain on after engine was turned off and drain battery overnight. Quick reprogramming at the dealership fixed it. Truck is a good all around truck. Rode better than my 99. Parking is easy and pickup is good on the hw. Love the load leveling frture. 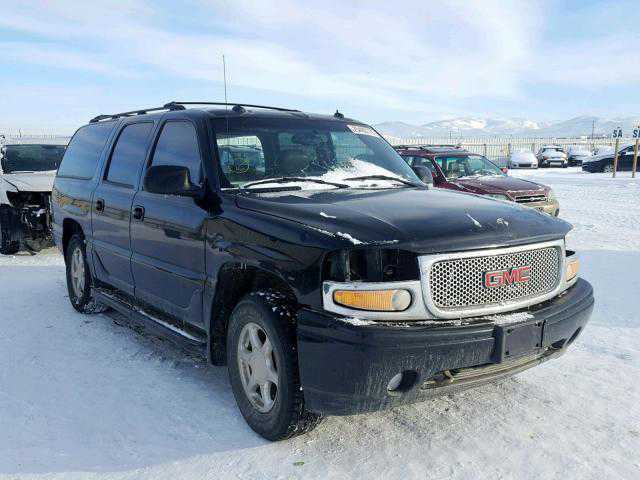 GMC Yukon XL K2500SLT Autoride w/ 8.1L V8.....IS AWESOME! Much better ride than my 96 model. And, for a full size SUV it's fast. Excellent braking and handling. Great highway cruiser, we ran 4000 miles our first month and had nothing but a great time. Only one complaint: Delco Radio, Yuck! We pulled out the Delco and Did a slick Kenwood 911DVD with GPS Nav. Playstation2 and a Kenwood Music Keg. Cloud 9 Baby! The GMC Yukon XL is one of the best SUV's on the market, if not the best. This is a far better truck than my best friends Sequoia, and a lot more truck for the money. It's even better on the gas in real world driving (because you don't have to floor it to go like the Toyota). The only problem is that a lot of the people that I give a ride to say "I NEED one of these". Great Vehicle. Lots of room and handles well - Much better than our old Suburban. Very comfortable seats. Kids particularly like the CD controls in the rear so they can listen to their CD's on headsets while we listen to a radio station in the front seats. Only prolem was a loose interior molding. Really wish we had put a navigation system in it; love that feature in our other car. Excellent Vehicle to drive. Smooth ride, good engine to vehicle match.